Yoram Hazony was interviewed by CBN News Chris Mitchell on the subject of the Jewish State Law. “Israel needs to maintain its Jewish nature, while at the same time being a robust democracy,” Hazony said. See the CBN News December 2, 2014 interview here. In a far-reaching interview for the Voice of Israel Radio, Yoram Hazony discusses the reasons behind European anti-Israel sentiment; why the Jews morally deserve a state; the Biblical roots of self-determination, The Philosophy of Hebrew Scripture, and more. Listen to the December 7, 2014 interview here. 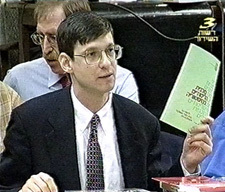 Yoram Hazony will present the case for a Jewish State law in a live webcast debate sponsored by the Centre for Israel and Jewish Affairs and the Jewish Federations of Canada. The webcast will air on Wednesday, December 10 at 2pm Eastern time. Herzl Institute President Yoram Hazony writes on the Jewish State Law and explores its ramifications in the context of the crisis of legitimacy that has battered all the states in the Middle East. Shmuel Trigano’s book throws new light on ontology. It ushers in a new way to philosophize, born in company with Greek language without however referring to it. 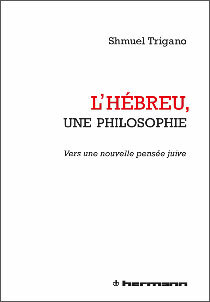 Beyond Greek Philosophy and also classical Jewish Philosophy, it opens a new Jewish path into philosophy. The grant will support research into basic theological questions, workshops for doctoral students and rabbinic students, as well as other allied activities. See the Washington Post‘s coverage of the grant. The Herzl Institute will offer a 9-credit summer semester on “Biblical Philosophy and Hebraic Heritage” in Jerusalem this summer for Christian students to explore the value of the “Judeo-“ in the “Judeo-Christian” tradition, in partnership with the Center for Studies in the Middle East (CSIME) at The King’s College of New York. Ofir Haivry, Vice President for Academic Affairs and Director of the Alliance of Middle East Nations Project at the Herzl Institute, elucidates the coalitions that are emerging out of what appears to be a shapeless free-for-all of conflict in the Middle East. Read the article in Commentary.